St. John’s Conservatory Theater, now in its fourth season, opens its original musical comedy ORCHARD OF HIDE & SEEK, this Friday, June 16, at the newly renovated all-digital OFA Auditorium, for a two-week run. With a dazzling cast of 31 actors, singers, and dancers, and an equally talented crew of 27 designers, technicians, and artisans, the ORCHARD OF HIDE & SEEK is their most lavish production to date. The ORCHARD OF HIDE & SEEK, written and directed by award-winning writer/composer R. O’Donnell, is HOCUS POCUS meets PETER PAN and promises a hilarious “summer-blockbuster” feel. Full-scale fight scenes, staged by martial arts trainer Angela Rodriguez and a scrumptious digitally orchestrated score promise quite an awe-inspiring evening. The costumes, under Karen Fischbeck’s creative direction, along with numerous props and set dressings designed by fine artist Stephen Chambers offers a delightful Broadway ambiance. ORCHARD OF HIDE & SEEK, the first in a 3-part series of full-scale musicals, comprises of three flamboyant witches, dozens of battling pixies and supernatural fairies, a juggling troll, a half dozen rambunctious kids, lively dancing pirates and a singing witches’ cauldron named Misty. The underscoring, too, digitally arranged and orchestrated by OFA senior Ryan C. McNally, creates a cinematic ambiance reminiscent of Han’s Zimmerman’s scores of the PIRATES OF THE CARIBBEAN fame. All this is SJCT’s way of presenting a summer extravaganza appealing to even the most hardened musical comedy critic, making this a great Father’s Day event. The ORCHARD OF HIDE & SEEK is a family-friendly musical comedy about Queen Onagh and her tribe of fairies and pixies inhabiting the old apple orchard high atop a cliff on Peekaboo Island. As they prepare for their festive full-moon celebration, the children from the nearby village of Onwee just happen to be treasure hunting for pirate’s gold. However, trouble ensues as Capt. Jean-Pierre Beunet and his comical band of shipwrecked pirates, and Ophelia, Delia and Vermilia Hollyhock, the wicked witches of Hubba Bubba, plot to take over the entire orchard for themselves. 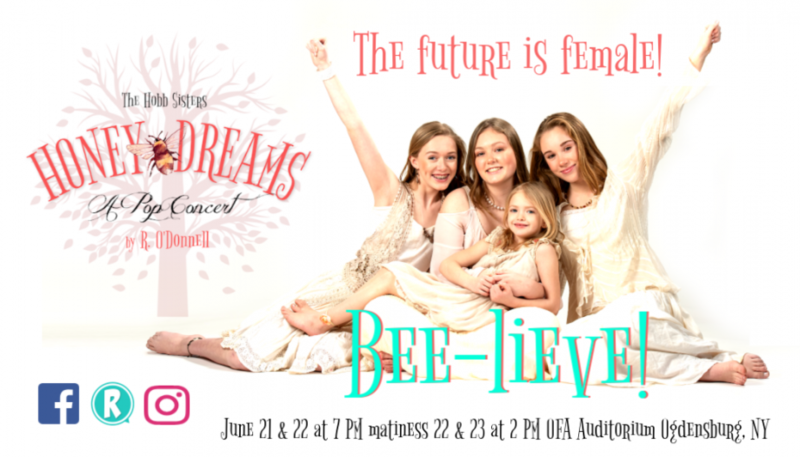 The fairies are played by Tessa Harper as Onagh Queen of the Fairies, Hailey Weber as Princess Auria, Carina Cook as Princess Lilywink, Analyse Bullock as Shaylee, Grace Brunet as Lorilia, and Ava Rutherford as Forsythia. The pixies are played by Myah Myers as Princess Nyssa, Macy Murdock as Nightshade, Meghan Gardner as Clover, Madison Miller as Silkfoot, Mia LaBella as Bitterbreeze, and Emma Seeley as Jinglebug. Children of Onwee are played by Caroline Silver as Lorcan Gallagher, Christopher Rodriguez as Rory Curren, Grant Brunet as Keelin Shanahan, Gabi Ott as Carmel McGlinchy, Philomena Bullock as Enya Fallon, and Emma Murray as Deirdre McGuinness. The pirates are played by Mr. O’Donnell as Capt. Jean-Pierre Beunet, Brandon Bogart as Scallywag, Christopher Dwyer as Shivers, Gerard Powers as Whale-Eye, and Eric Robinson as Basher. The witches are Angela Conzone Dwyer as Ophelia Hollyhock Queen of Hubba Bubba, Shelly Murdock as Delia Hollyhock, Angelina Schembry as Vermilia Hollyhock, and Krista Kelly as Misty the Singing Cauldron. Ophelia Hollyhock’s henchman is Ryan Woodard as Yadder the Troll, Calea LeBel as Arema, Maddison LeBel as Gogo, and Chloe Preston as Spiridon the banshees of the dark castle. SJCT principal creative staff includes Producing Artistic Director Mr. O’Donnell, Musical Director and Choreographer Angela Conzone Dwyer, Arranger and Orchestrator OFA Senior Ryan C. McNally, Scenic and Prop Designer Stephen Chambers, Costume and Makeup Designer Karen Fischbeck (Heuvelton), additional Costumes by Heron Hetzler (Potsdam), Technical Director and Production Coordinator Christopher Dwyer, Sound Designer Richard Patton, Lighting Designer Barry Pratt (Clayton), Stage Manager Sadie Smith (De Kalb Junction), and Props Master Tonya Ott. Collectively they have over five decades of professional theatrical and academic experience including regional, stock, bus and truck, off-off-Broadway, off-Broadway, and Broadway stages. Showtime’s are 16,17, 23, 24 at 7 PM and matinees 18 & 25 at 2 PM at the OFA Auditorium in Ogdensburg, NY. Tickets go on sale in mid-May and will be available electronically at brownpapertickets.com or at the door the night of the performances. For more information, please visit St. John’s Conservatory Theater’s Facebook page: http://www.facebook.com/stjohnsconservatorytheater. This entry was posted in in the news, Photoplay, Shop Talk and tagged comedy, musical, New York, Ogdensburg, theatre. Bookmark the permalink.